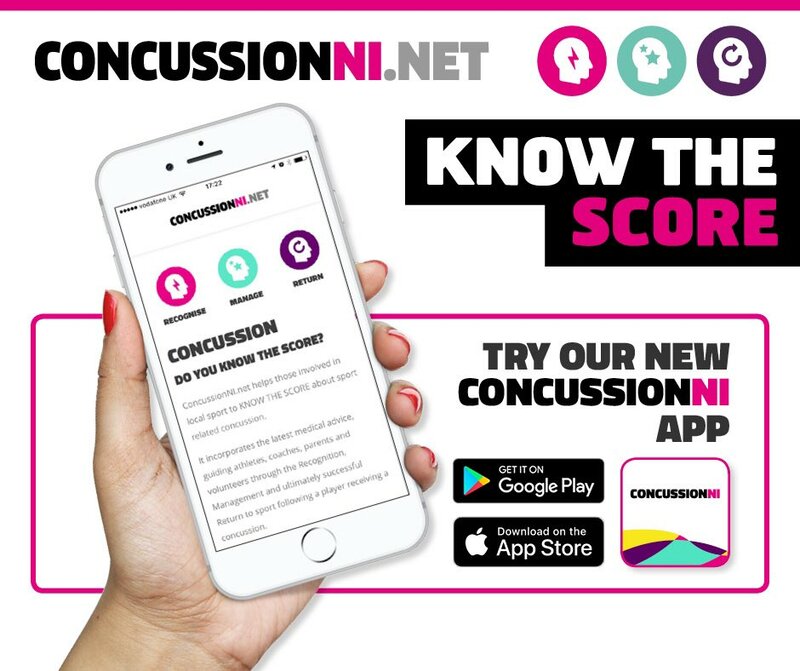 NEW CONCUSSION WEBSITE HAS BEEN LAUNCHED – “KNOW THE SCORE"
Sport Northern Ireland are delighted to announce the launch of the new ConcussionNI.net app and website. A number of local heroes from sport, health and education came together to launch the new online concussion resource for Northern Ireland. The ConcussionNI.net website is aimed at guiding users through the recognition and management of concussion, through to the gradual and safe return to work, study and sport providing info and guidance to athletes, parents, coaches and sports on recognising and managing concussion. Have a look at the new website: www.concussionni.net and the Android app which is available for download from the Google Play Store (search for ConcussionNI). An Apple Store version to be launched in the coming weeks.